Friday was a busy day for me I decorated 3 cakes and some cookies. This is #1 of 3. 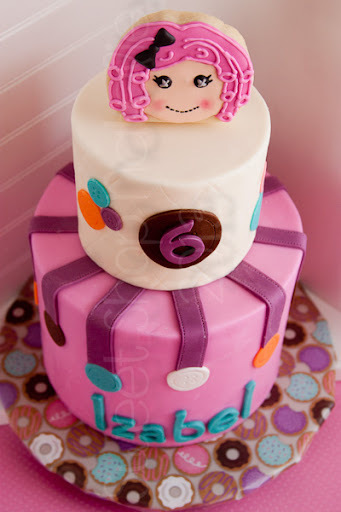 My previous neighbor called me a couple weeks ago and asked if I could do a Lalaloopsy cake and cookies for her daughters 6th birthday. She sent me a picture of what she was looking for and the cookie picture I knew immediately was Sweet Sugarbelle's creation. I knew I could do the cookies no problem thanks to Caylee's tutorial on them found here. I simplified the cake design she sent me into something I knew I could do. I was quite happy that I got sharper edges on this cake than I have in the past. I took Jessicakes tutorial recently on craftsy.com and it was a great help. This was a chocolate cake with vanilla SMBC, which I used for the first time and it was really easy to work with but I think ganache would be better to get razor sharp edges. 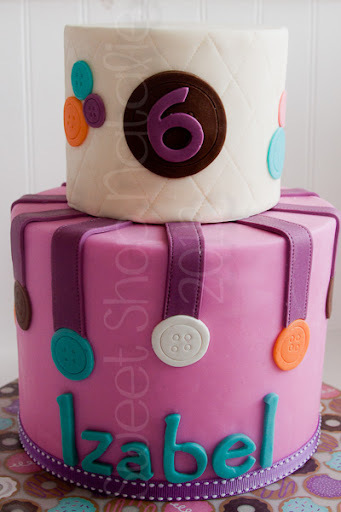 I covered the cakes with homemade marshmallow fondant and used modeling chocolate instead of fondant for the decorations it is way easier to work with! I think it turned out cute. 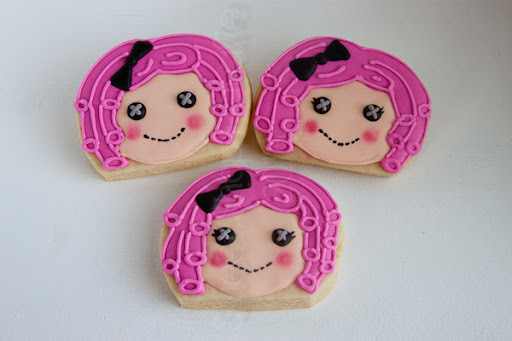 The cookies are pretty darn cute if I say so myself. 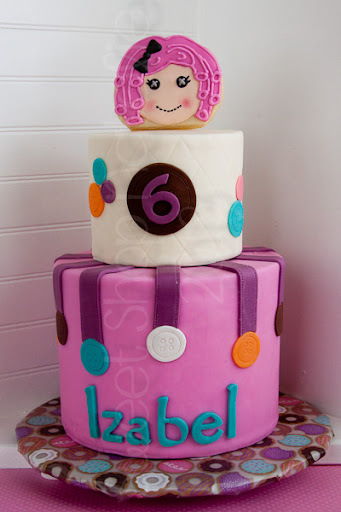 I hope that Izabel had a great birthday and thanks to Myrna for the order. In the other pictures I forgot to but the ribbon on the cake so here is a shot with it on.